Vets and business: UTA recently held a one-day seminar for veterans interested in becoming entrepreneurs. The College of Business has been awarded a two-year, $500,000 Small Business Administration grant to establish a Veterans Business Outreach Center that will offer educational, training, and consulting services to veterans who are starting or growing a business. The center is the second in Texas. The first is at UT Rio Grande Valley in Edinburg. Edmund Prater, associate professor of information systems and operations management, will serve as principal investigator of the research grant and executive director of the center. Programs will be built upon principles of entrepreneurship and franchising, areas that appeal to veterans. Read more about the Veterans Business Outreach Center. Chartwell, UTA's new dining provider, has opened the Plaza Food Court (7:30 a.m.-3 p.m. Mondays-Fridays) and Starbucks (7:30 a.m.-3:30 p.m. Mondays-Fridays). Other locations opening Monday, June 6, include the MAC Outtakes, formerly the MAC Market, (8 a.m.-3 p.m. Mondays-Thursdays) and the Connection Café (7-9 a.m., 11 a.m.-2 p.m., 5-7 p.m. Mondays-Fridays; 10:30 a.m.-2:30 p.m., 5-7 p.m. Saturdays-Sundays). Locations closed this summer for renovations are the former We Proudly Brew and POD Market in the Central Library, Einstein Brothers Bagels in the Fine Arts Building, and POD Market in the University Center. Are you looking for somewhere to put your books so you don’t have to carry them all over campus? Try a free locker at the U.S. Post Office in the E.H. Hereford University Center by Starbucks. Found in everything from space shuttles to dental fillings, composite materials have thoroughly infiltrated modern society. But their potential is still greatly untapped, offering UTA researchers ample opportunity for discovery. 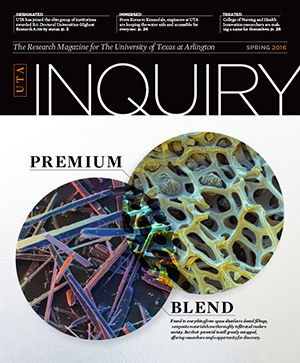 Get all the details in the latest issue of Inquiry, UTA’s research magazine. 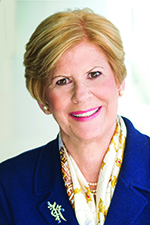 You also can read about how engineers at the University are confronting issues of water safety and access from South Korea to Kennedale, Texas, and how the College of Nursing and Health Innovation is making a name for itself as a leader in health care innovation. The spring 2016 issue includes stories about a new study assessing the potential for underground freight transportation in Texas, technology that can store solar power even in darkness, and how one professor is using a $1 million NASA grant to search for signs of life in the universe. Midnight-6 a.m. Saturday, June 4, equipment critical to all data connectivity both on campus and off campus; will affect Internet, VPN, and inside networks. Midnight-4 a.m. Saturday, June 11, equipment required for outside local and long-distance telephone service; may affect outside telephone service. Service disruption is not anticipated, but if it does happen, go to the system status page for updates. For questions, contact the Help Desk at 817-272-2208 or helpdesk@uta.edu. The UTA Police Department seeks your opinion regarding its performance in serving the community. Take the survey to give your input to enhance UTA PD's professionalism and the services provided to faculty, staff, students, and visitors. TrailBlazer moves to a summer schedule after this week. Keep up with campus activities throughout the summer on every other Tuesday. The next TrailBlazer is June 14. Weekly editions return Aug. 23 for the fall semester. Send your news to trailblazer@uta.edu. Last day of classes for summer intersession. Final exams for summer intersession. Friday day of classes for summer I and 11-week sessions. Late registration for summer I and 11-week sessions through Tuesday, June 7. Deadline to submit meningitis vaccination documentation for summer I and 11-week sessions. Summer 14-week session census date. Census date for summer I session. Final grades posted for summer intersession. Classes for the first summer session and the 11-week session begin Monday, June 6. Late registration for these sessions continues through Tuesday, June 9. See the University Academic Calendar for important dates for each session. Registration is continuing for summer and fall 2016. Advising is available in your academic department. The MyMav schedule of classes is being updated daily. Plan to validate your course selections. 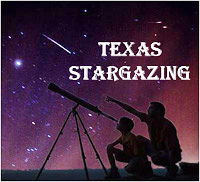 Summer's line-up at the Planetarium at UTA includes something for every member of the family. The schedule, which runs May 31-Aug. 28, features Dynamic Earth; One World, One Sky: Big Bird's Adventure; Pink Floyd; Secret of the Cardboard Rocket; Spacepark 360: Infinity; Texas Stargazing; and We Are Astronomers. Check the Planetarium schedule for summer show days and times. Arlington Technology Association Civil engineering Professor Mohammad Najafi examines the feasibility of employing a variety of underground freight mobility technologies to counteract the expected 263 percent increase in trucked international freight shipments in Texas by 2030. RSVP. Free. 7-8 a.m., Room 100, Nedderman Hall. Arlington Technology Association. UTA freshman Alexus Henry finished fifth in the high jump Friday at the NCAA West Preliminary Round to advance to the NCAA Outdoor Track and Field Championships in Eugene, Ore. She cleared 5 feet, 10 3/4 inches, the second-best mark in school history, on her second attempt at the height. Henry is the first women's high jumper from UTA to advance to the NCAA Championships. She will compete in Oregon on Saturday, June 11. Read more. Tobi Fawehinmi broke the world Paralympic record in the triple jump Saturday to highlight the action on the final day at the NCAA West Preliminary Round for the Outdoor Track and Field Championships. Fawehinmi posted a personal-best mark of 50 feet, 11 1/2 inches on his first attempt. The junior finished 17th in the event, five spots shy of earning an appearance in the NCAA Championships. Read more. The season ended for UTA baseball with Friday afternoon's 3-0 loss to South Alabama in the Sun Belt Championship.The seventh-seeded Mavericks beat the No. 2 Jaguars 4-2 on Wednesday, but lost the rematch to get bounced from the league tournament. UTA lost 6-0 earlier Friday to Georgia Southern. Read more. Five UTA baseball players were named to the All-Sun Belt Conference teams. Senior Darien McLemore and junior Brady Cox were first team selections, while juniors Kadon Simmons, Quintin Rohrbaugh, and Colton Turner were named to the second team. Read more. Softball players Sandra Mendoza and Krista Rude were named to the NFCA 2016 Division I Central Region teams. Mendoza was named to the second team, while Rude is a member of the third team. Read more. Upcoming intramural sport deadlines are tennis and indoor soccer, June 8; softball, June 15; sand volleyball and racquetball, June 22; billiards, June 30; badminton, July 12; basketball, July 13; poker, July 21; and MavStrong, Aug. 11.